If you want to learn to play chess correctly you first need to learn the basics. This section was designed to give an overview of all the pieces, show how they move, go over key concepts you should think about with each piece, and then show opening principles and discuss things that every chess player should know when they approach the beginning of a chess game. This section is for everyone that wants to make sure they understand the fundamentals of chess. Chess is a game that are governed by a set of rules. It is not uncommon for a chess player to enter a tournament for the first time and find out that many of the simple things he is doing are not allowed. This could be as simple as touching a piece and then moving another piece (you can’t do that). Whatever the case it is important to know the rules of chess if you are going to ever play in person. You never know if the person sitting in front of you is a real “rules” person and will point out every mistake you make. Kings really don’t have a value in chess because they are priceless. If the king goes down you lose the game. So while they might not be the most powerful piece in regards to movement and attacking prowess, their safety should go above any and everything in a chess game. The king does get to move though and many times can be a great piece in a chess attack. The king can move one space in any direction. It is usually smart to keep your king safe early in a game, when both sides have all their pieces moving around the board and lots of attacks are lurking. Once pieces start to leave the board and the king can no longer be immediately threatened then you will want to get the king involved. Towards the end of a game you always want to make sure your king is brought towards the center of the board and he helps out in the attack. Watch the video below to learn more about kings. Queens are the most powerful piece in chess. They are worth 9 points and can move diagonally or horizontally as far as they can travel without hopping over pieces. A queen moves the same as a bishop and a rook combined which makes your most important piece. One of the biggest mistakes beginners make with their queens is bringing them into the game too early. They assume that because they are the most powerful, they should get them involved in the battle early on. This sounds good, but in theory it doesn’t work out. Players that bring out their queens out early usually end up losing lots of time in development. Your opponent can focus his time developing his pieces towards the center while you are worrying about your queen safety. In the beginning of a game, the queen by itself hardly ever does much damage. Mixed with the bishops, knights and rooks however, the queen does lots of damagae. When you develop your queen early on, make sure that it is supporting as many pieces as possible. That way when any of your pieces start an attack your queen will be there supporting the attack, but won’t be in danger. Watch the video below to watch a detailed video of queens. Rooks are one of the most powerful pieces in chess. Rooks are worth 5 pawns or 5 points, depending on what you are reading. The main thing you need to know about rooks is that they work best on open files, meaning that vertically and horizontally if there are no pieces in the way, the rooks fair much better. The rooks are only as good as the number of squares they can cover or the pieces that they can support. One of the common mistakes people make is not activating their rooks. When you develop your pieces you should aim to move all your pieces towards the center, and after you have castled for king safety, make sure that your rooks are always on open files. If you lose one of your pawns, make sure you put a rook on that file. If chess players used their rooks more efficiantly they would become much better players instantly. Watch the video below to watch a detailed explanation of rooks. 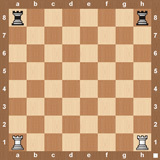 Bishops are worth 3 pawns or 3 points and can travel diagonally as long as they can travel without hopping over pieces. Bishops work really well in open space. If there is not a lot of action in the middle of a chess board and the bishops have long diagonals to attack and defend, they will be much more effective. If the middle of the chess board is blocked by pawns, the effectiveness of the bishop reduces dramatically as they can’t hop of the pawns and can no longer move very far. It is also important to consider that a bishop can never leave the color square that it starts on. That means that two bishops together usually work really well together as they can cover the entire board with a limited number of moves if they are not blocked. Even though bishops are worth the same as knights, many people prefer bishops early in a game as most games start open. Once the game progresses, if the game starts to become closed, and the board gets cramped, players will then favor knights. Make sure that if you have bishops you do not trap your bishops and always make sure they are being used to their full potential. Watch the video below to see a detailed explination of bishops. Knights move much differently than any other chess piece and because of that make it a very important piece. 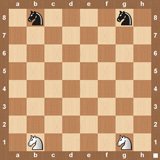 The value of the knight is 3 pawns or 3 points. That is the same value as a bishop. Although they have the same value, knights and bishops have much different roles in a chess game. Knights are the only piece in a chess game that can hop over other chess pieces. This makes a knight a very powerful piece when the game is “closed” meaning that the middle of the board is fixed with pawns and no pieces can get by. While even a queen can’t get past a blockade of pawns in the center of the board, a knight can happily jump over into the other side of the board and continue an attack. Knights are also very much more valuable in the middle of the board. Knights usually don’t do well on the edge of the chess board and definitely don’t do well in the corner of a chess board. Make sure that you always have your knights focused on the center of the board. It is also important to remember that knights should be the first pieces that you develop. After pawns should come knights in development. Watch the video below to watch a detailed video on knights. Pawns are the weakest piece in the chess game but because there are 8 of them, they work very well together and any chess player must be able to understand how to use them best in a game. One of the biggest advantages of the pawn is once they reach the 8th rank (the other side of the board), they can be promoted, or exchanged for any piece on the chess board besides the king and can’t stay a pawn. This is extremely important in a game where a player can turn a pawn into a queen and change the entire game. 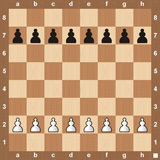 In the opening of the game you should focus on two things when you are moving your pawns. The first thing you should always be doing is gaining center control. 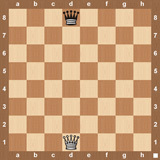 Many players believe that the d and e pawns are the most important because they normally control the center of the board. 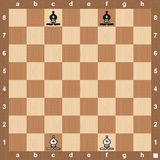 You usually want to develop these pawns early. The second thing you need to think about in the beginning of a chess game is king safety. 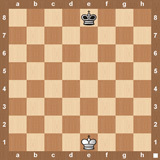 Most players castle kingside, so it’s recommended that you don’t move the pawns (f, g, h pawns) if you don’t have to. The more you move your pawns away from your king the less safe the king becomes. Watch the video below to watch a detailed explanation of chess pawns. I think I have the fundamentals down and would like information on private lessons.